On Saturday, New York City received 4.3 inches of snow in Central Park. This was our first significant snowfall of the season. The city’s last measurable snowfall was back in October during a surprising pre-season snowstorm. This winter has been relatively mild, so it was exciting to finally see some snow on the ground. The local forecast, however, is calling for a major warm up this week. As a result, this snow will not last long. However, with more than two months left to the winter season, I am guessing that the snow will be back before long. 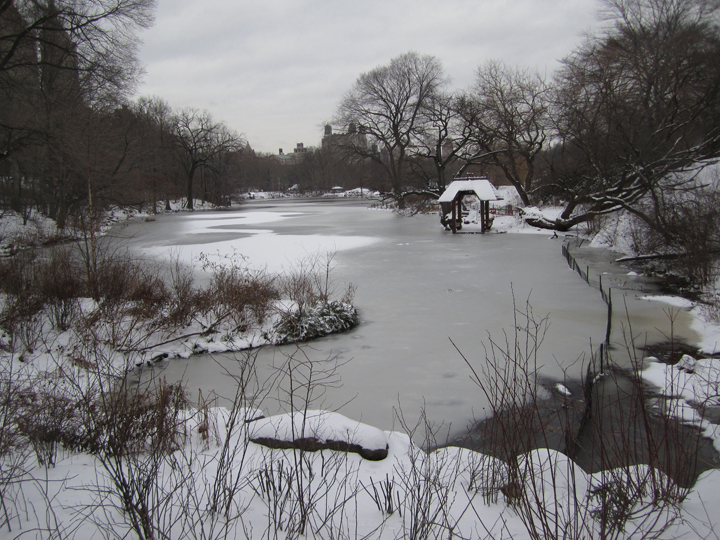 Central Park's Lake frozen and covered in snow. 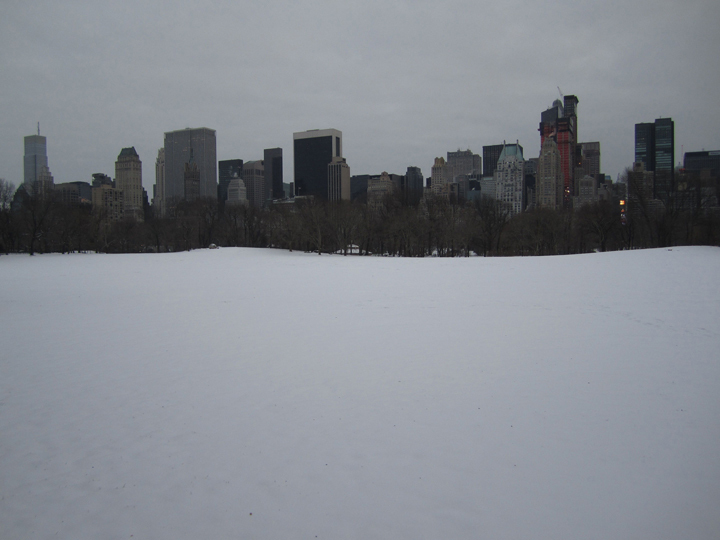 The Sheep's Meadow in Central Park covered by a blanket of snow.